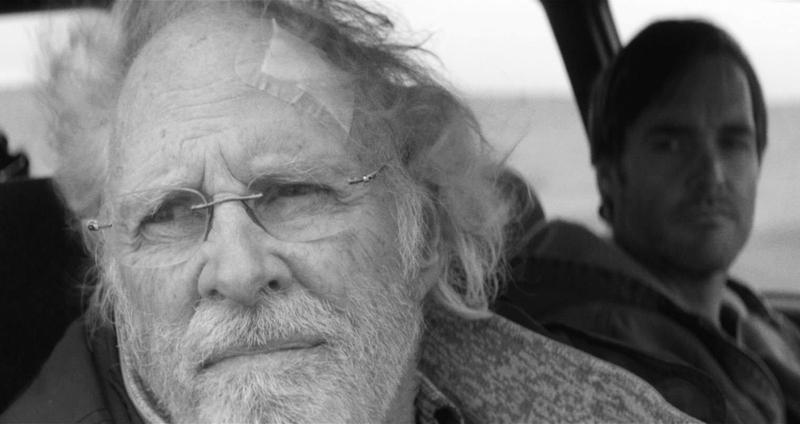 Will ‘Nebraska’ finally crack the Oscar ice for Bruce Dern? Now, 25 years later, he’s back in the running again, this time for a Best Actor trophy, for what might well be the crowning performance of his entire career—as a cantankerous Montana senior citizen on a crazy quest to claim a sweepstakes jackpot across the state line in Nebraska. 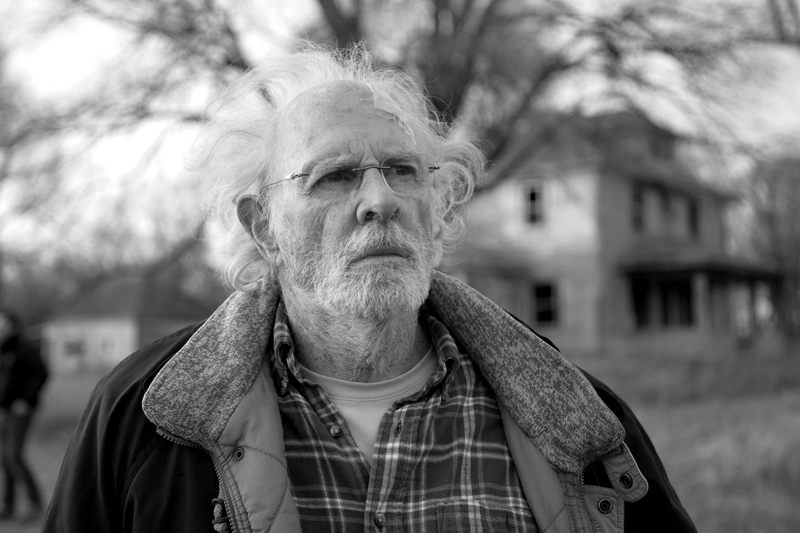 Dern plays Woody Grant, who mistakenly thinks that the Publishers Clearing House-style notification/solicitation he’s received means he’s won a million dollars. Woody may have a touch of dementia, might have a drinking problem, and he certainly “believes stuff that people tell him,” according to his adult son, David (Will Forte of Saturday Night Live fame). This “little” film shuffles along at a leisurely pace, without a lot of the frills, thrills or spills that usually mark box-office champs. Yet it’s up for five other 2014 Oscars: Best Picture, plus nominations for June Squibb (Supporting Actress), who plays Woody’s tart-tongued war horse of a wife; veteran cinematographer Phedon Papamichael, whose black-and-white vistas often look like fine-art photographic prints; writer Bob Nelson, who provided the wit, warmth and humanity of the screenplay; and director Alexander Payne (The Descendants, Sideways, About Schmidt, Election), a native of Omaha, whose affinity for the empty, wide-open spaces and deadpan social cadences of the Midwest shows in the authenticity of every scene, every conversation, and every character, and in the way he gradually reveals the details, wrinkles and folds of the story. It’s a story of a simple road trip that becomes something much bigger, much broader, and much deeper—a tale of fathers and sons and families, of generosity and grudges, of old memories and youthful frolics, of the many shades of grey in the wide spectrum of love. It’s got six shots at taking home an Oscar this year. 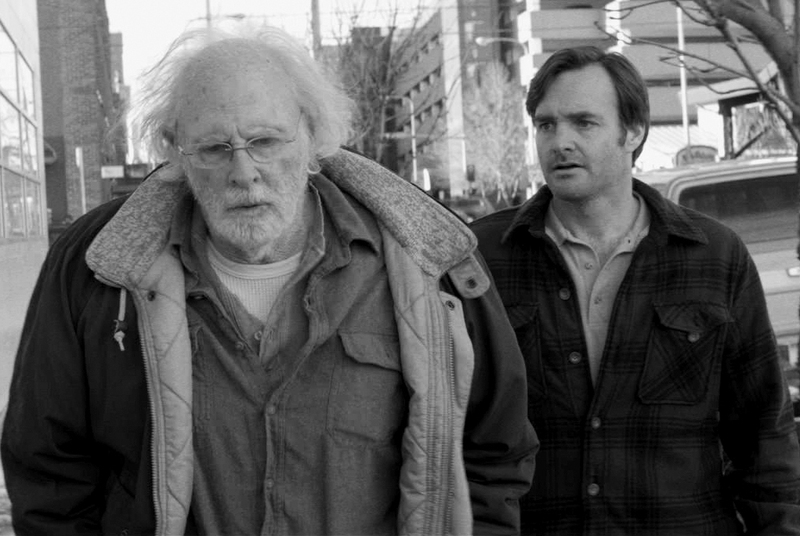 But even if doesn’t, this wonderful, warmhearted winter gem of a film is already a big winner, especially for anyone fortunate enough to see it. Good review Neil. Definitely not Payne’s best, but still a sweet, small and subdued film that clearly seems to love its characters, while also care for the worlds they have made for themselves.